Girl, our travel day took us to an interesting place. Our always helpful Hostal Zentrum host, Frank, got us a taxi in Quito. The nice taxi driver, Christian, got us to the North Bus Terminal in Quito on time. We walked right from his taxi onto a bus, and just two minutes later, we seven — our group is growing: Missy, Jo, Nona, Papa, “Dino,” “Katy,” and me — were on our way to Otavalo! 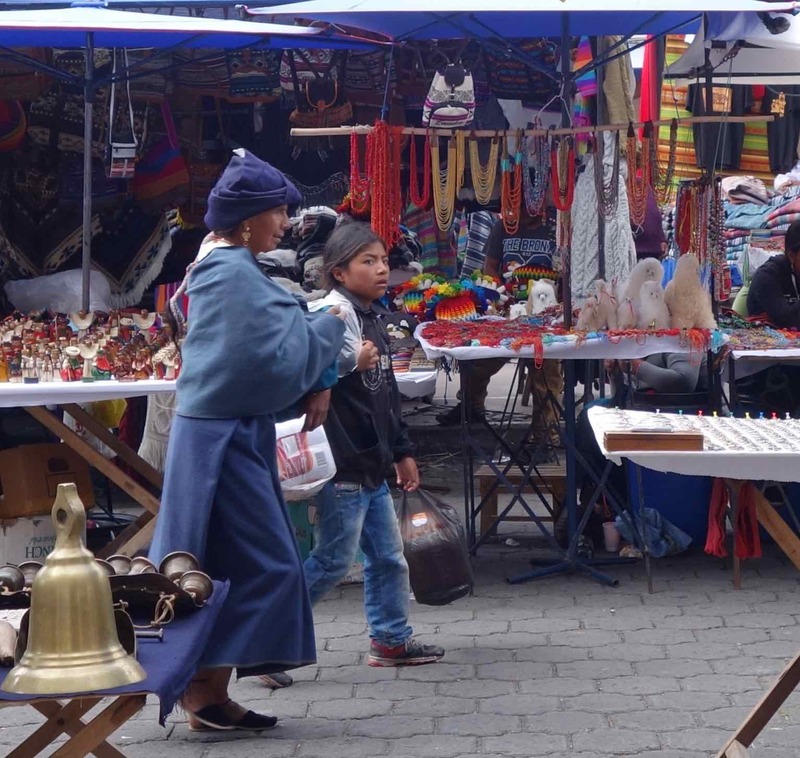 Why go to Otavalo? Well, it’s the biggest indigenous peoples’ market in South America; that’s why! We had a lot of fun roaming around the Otavalan market. We did that more than once. What’s the market like? I’ll tell you: everybody is selling just about everything, and a lot of what is being sold is hand-made by very talented people, the Otavalans. 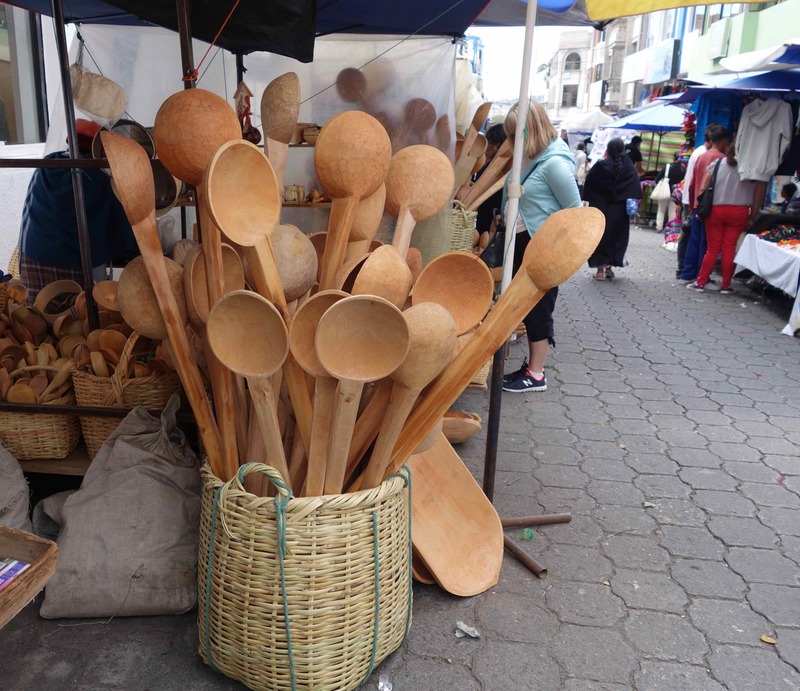 Those are hand made wooden spoons — “cucharas de madera” — and hiding behind those spoons is our friend, Jo. In Otavalo, we stayed at a really nice place with a long name, La Posada del Quinde Hotel & Pachamama Cafe. They had an outdoor garden where Jo, Nona, Papa, and Missy watched birds while they sipped drinks. I’m not too interested in birdwatching, so Dino, Katy, and I played with the dolls who stay at the hotel all the time on the shelf. Even though we were different from each other, we really enjoyed each other’s company. Diversity makes us all better. That’s what Papa says. In my experience, he’s right. A taxi took all seven of us up into the hills above Otavalo. Our little friends, the dolls, wanted to go too, but we didn’t have room for them. We went to a little — you might say “tiny” — village of Agato. Why did we go there? 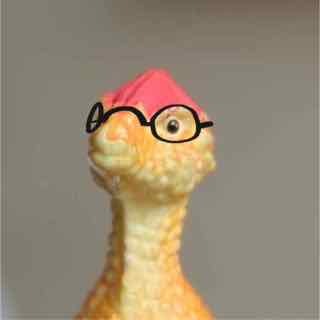 Look at this. 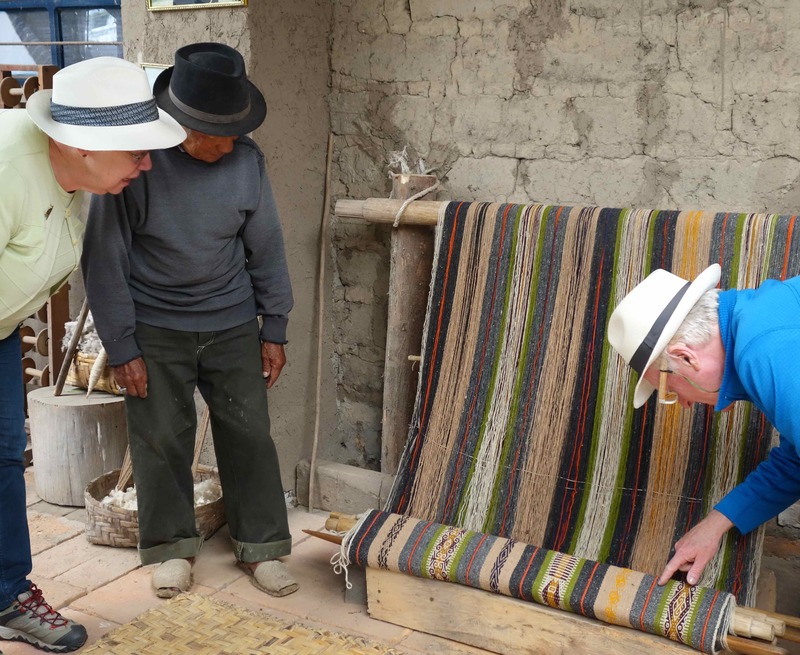 That’s Señor Andrango showing Missy one of his weavings that is not yet finished. That’s Papa on the other side looking at the fine detail of the weaving. Oh, we’re going to walk to the market place again. Missy wants to buy something. I’ve gotta go. Bye!